Horn Book Magazine has compiled a list of reviews of my books I cited in the article I just wrote for them, Fueling the Dream Spirit, in the Jan/Feb 2008 Horn Book. Very cool! 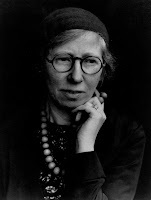 Photographer Imogen Cunningham, when asked which of her photos was her favorite, used to say, "the one I'm about to take." I feel the same way, and I think lots of authors do. My favorite book is always the one I am working on, the one I'm caught up in, the dream that is not quite yet bound by earthly considerations of length, and word choices and a set title and cover. Sometimes I'm so caught up in dreaming I forget where I've been, and what I've written. It's lovely to be reminded of the books I've done, the ones that were once the dream, and are now my babes out in the world with lives of their own, lives I'm very, very pleased with. Thank you to Martha Parravano and Roger Sutton at Horn Book.